Let’s start by acknowledging what coding is. Building an application traditionally requires 2 things: developers and segments of code. The role of each is fairly straightforward. The code itself forms actions, behavior, and data for your application to function. Your developer is a professional who would use code to turn an idea into a working application. So when you talk about “no-code,” one half of that equation is challenged. No-code enables anyone to create a complex application without writing a single line of code. Instead of hand-coding, your developer uses a visual interface to build an application with pre-fabricated modules (or building blocks). The secret of no-code platforms is that they don’t actually change the traditional formula of application development (shocking, we know). It just changes where the code is physically produced and how you use it. Instead of hand-coding, a professional developer creates code segments and modules beforehand. These modules still use just as much code, it’s just not visible to your developers. 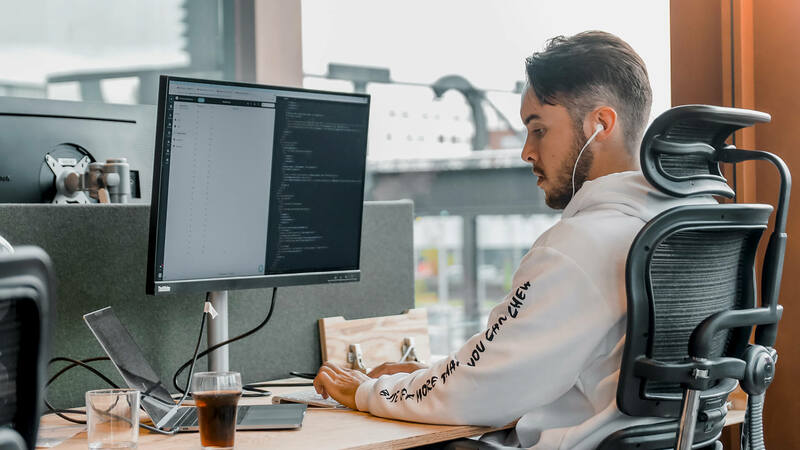 For example, an application which connects a login page with a list of users would require multiple lines of code, classes, and dependencies. A no-code platform would have each of these elements already created and ready to connect to your backend. All your developer needs to do is drag the correct modules into place and assign the correct values. You can think of it like putting together a prefabricated house: First, we (the platform) assemble each complete room, and then you (the no-code developer) just have to put the rooms together in the correct order (basement first, the kitchen and living room, second floor bedrooms, and finally the attic). If you’re familiar with programming, the way that a no-code platform like Betty Blocks works is like the processes of abstraction and encapsulation. Abstraction is the process where a programmer hides all but the most important data of a coded object in order to decrease complexity and increase efficiency. Encapsulation hides the details of how an object works. In other words, abstraction and encapsulation remove the nitty gritty details that aren’t essential characteristics of the object, from the perspective of the viewer. Those details are still there but built into the object. When you build an application on a no-code platform, you’re essentially working with the exact same pieces as the original developer + code equation. It’s just much faster because all the building and testing of the source code is done beforehand. So, when we call ourselves a no-code application development platform, what we really mean is that the code is already built-in to the components of the platform that you use to build an application. To get back to the original question: You can absolutely build an application without writing a line of code yourself. Without the barrier of technology and coding languages standing on your way, anyone in your organization can contribute to the development process without any coding knowledge. If you want to see our no-code platform in action, you can sign up for a free demonstration here or check out our CEO, Chris Obdam, create an application from scratch in under 20 minutes. Thanks for reading, remember to tune in next time where we’ll show you more of the Betty Blocks platform itself plus some of the key features.